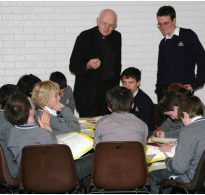 The Blackrock College campus provides a holistic education in the Catholic Spiritan tradition to a total of over 1600 boys in Willow Park and Blackrock College itself. Willow Park Junior School educates boys aged 5 and over in classes from Junior Infants to Sixth Form. At second level, First Year boys remain in the Willow Park environment in a dedicated First Year area, before moving to the Blackrock College Building for the remainder of their education from Second Year to Sixth Year. Blackrock uniquely mixes the advantages of a large school, in terms of subject choice, companionship and extra-curricular activities with an administrative structure which sub-divides the College into small groups. This provides a nurturing and personal environment in which each boy may reach his full potential. 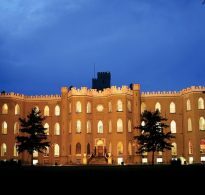 The boarding school, located in Williamstown Castle, is home to one hundred boys from all second-level year groups. Boarders are, and always have been, unique members of the Blackrock community. Their experience of the school is, by its nature, a very comprehensive one and the bond between boarders and Blackrock College has traditionally been particularly strong.